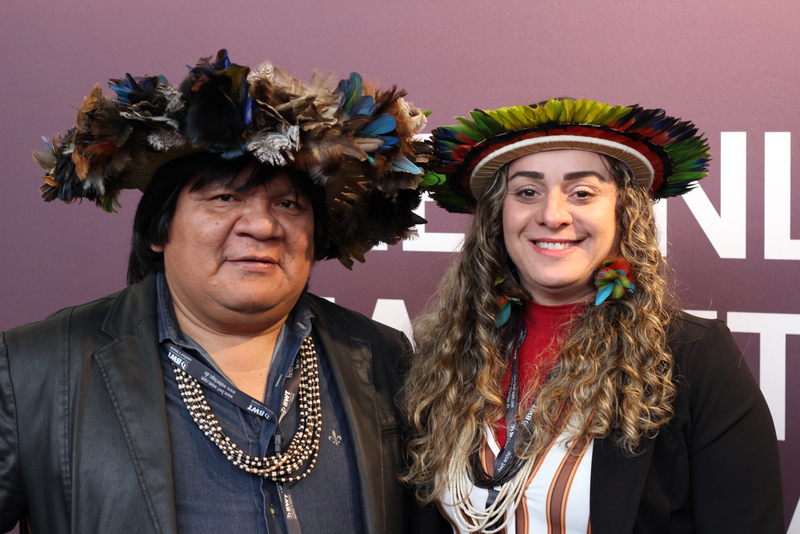 Chief Almir Narayamoga Suruí and his wife Silvia at World of Coffee in Amsterdam. Daily Coffee News photo by Lily Kubota. 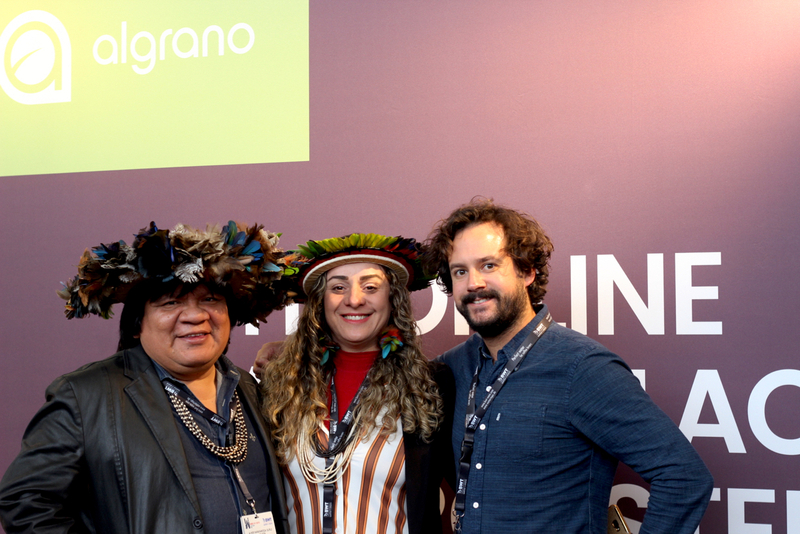 The indigenous community Suruí Paiter of the Brazilian Amazonas has exported its coffee to Europe for the first time, working in partnership with the Swiss-based tech platform Algrano, an online coffee marketplace connecting roasters and growers. The partnership marks the first time the tribe’s coffee has been sold outside the domestic market. Chief Almir Narayamoga Suruí, who was ranked among the 100 most creative people in business by Fast Company in 2011 and who has a history of environmental activism, was present at World of Coffee in Amsterdam last week along with Algrano Co-Founder Christian Burri to connect with potential buyers. Burri told Daily Coffee News that around 40 years ago, the tribe was introduced to the outside world for the first time and their population was reduced from 3,000 to 150 as a result of disease and deforestation. Cultural preservation and environmental protection measures have since been put in place, and the tribe is growing again — having returned to the forest with Almir as its elected chief. Christian Burri pictured right. Daily Coffee News photo by Lily Kubota. Burri said that the Suruí reached out to Algrano for support last year. 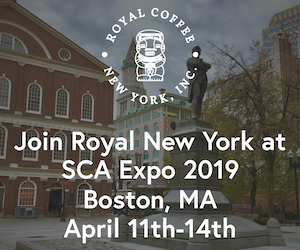 This year, the partnership is expected to result in a shipment of four tons single-origin, high-quality Robusta to Swiss roaster Rast Kaffee. For the coffee venture, the tribe has formed an official cooperative with more than 30 members. It produces 30 tons of coffee annually, with 40 percent of that being shade-grown. 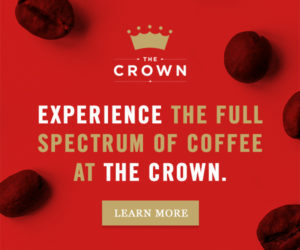 Burri said the coffee scored well and compared favorably to other high-quality Robustas, boasting flavors of pecan, spice, dark chocolate and hazelnut. Under the chief’s leadership, the Suruí plan to use their coffee as a way to raise awareness about the fight against deforestation. By placing an emphasis on quality and maintaining the forest, the chief hopes to encourage his people — as well as the surrounding communities — to live in harmony and balance with the environment. In addition to coffee, the cooperative produces cacao, açaí berries, and a variety of Brazilian nuts to diversify their crops. “It is very important for us to produce in a social, economical, and environmental way,” said Chief Almir. Since 2009, the tribe has been utilizing Google Earth technology to capture GPS-located photos and videos for immediate upload to Google’s mapping tools to track illegal deforestation and the effects on the surrounding environment. The result of this effort has been a realtime account of deforestation, giving the authorities an opportunity to hold offenders accountable.